The typical school year certainly ebbs and flows. We’ll have times where we’re energized and excited about all of the possibilities (i.e., the beginning of school), and then we’ll have times where we feel overwhelmed with the busyness around us. Depending on our responsibilities and commitments, those times can vary, but inevitably all of us face those times. But they’re just seasons. They’ll come and go. The key is anticipating them, preparing for them, and recognizing when they’ve arrived. Looking at the calendar for this semester, I know that in just a couple of weeks, things will get a little crazier. 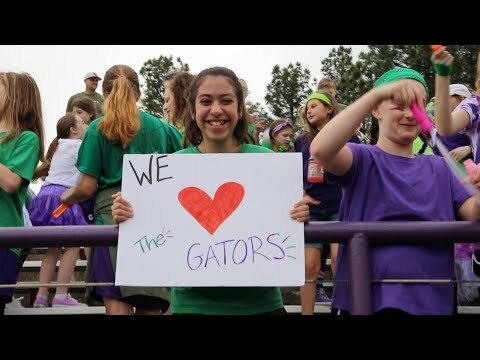 Students will be coming and going on field trips, athletic trips, drama performances, choir shows, band concerts, Mustang Missions projects, Access Gators, Track Attack, and several other activities. These are all experiences we want our students to have, but it’s easy to get frustrated when students miss class. However, rather than being frustrated when students are coming and going, we need to anticipate that time and prepare in advance. Below are some solutions and tips to be thinking about. Project-based Learning (PBL) – Design projects students can work on both in and out of the classroom. Students can use class time to work on their projects which gives teachers the opportunity to work alongside students and provide guidance. Create a calendar of assignments and lessons and share with students and their parents. By giving advanced notice of assignments, students can work ahead they can be more proactive in getting assignments finished on time. This also shifts the responsibility of making up work to the student. Don’t take things personally. If students miss class for a school activity, appreciate the experience that student had. When we allow ourselves to be frustrated by absences, more often than not, we’re focusing on how the absence affects us and our plans. One of my favorites: Email your future self right now. Remind your future self to anticipate this season and to prepare accordingly next year. For a couple of years, I did this when it was close to essay-grading time. I sent my future self an email reminding me that I actually do enjoy grading essays and that I need to pace myself. The next year when it was getting close to essay time, I received an email from myself (that I had forgotten I even wrote!) and it encouraged me to power through. It may sound weird, but it’s pretty cool how well it works. Check out FutureMe.org to write your first email to your future self. Remember, school is cyclical and every school year has ups and downs. The trick is anticipating the season and preparing in advance.